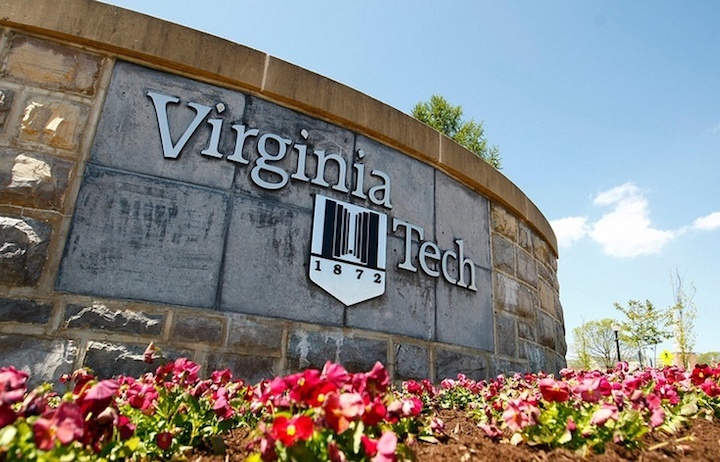 Virginia Polytechnic Institute and State University (also known as Virginia Tech or VPI) is one of the most frequently searched universities in America, according to a recent internet keyword search of American colleges. VPI, established in 1872, is a public research university based in the state of Virginia, with numerous locations throughout the state, and one in Switzerland. The university currently maintains an enrollment of more than 32,000 undergraduate and post graduate students, throughout all of the school's facilities. The student faculty ratio at VPI is about 14 to 1. The college features a medical school, and also has a world renowned ROTC program. 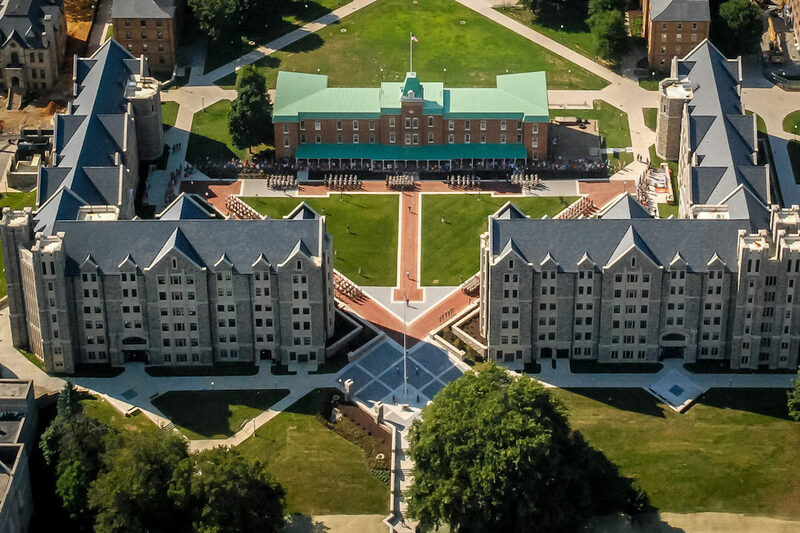 In fact, Virginia Tech is one of only six "senior military colleges" in the nation. Still, VPI is not as hard to get admitted to as some other universities are: About half of this year's accepted freshman class had SAT scores between 1160 and 1340. Roughly 3 out of 4 high school students who apply to VPI are accepted. Here are the answers to some frequently asked questions about Virginia Tech. 1. Where is Virginia Tech? The main campus of VPI is located in Blacksburg, but the school also has branch campuses in Abingdon, Falls Church, Newport News, Richmond, Roanoke, and Virginia Beach. Shown above: A sunset over the main campus of VPI. 2. What is the academic structure of Virginia Tech? 3. What courses and programs are offered at Virginia Tech? VPI offers more than 150 Bachelor degree, Masters degree, Doctoral degree, and professional degree programs in various fields of study. 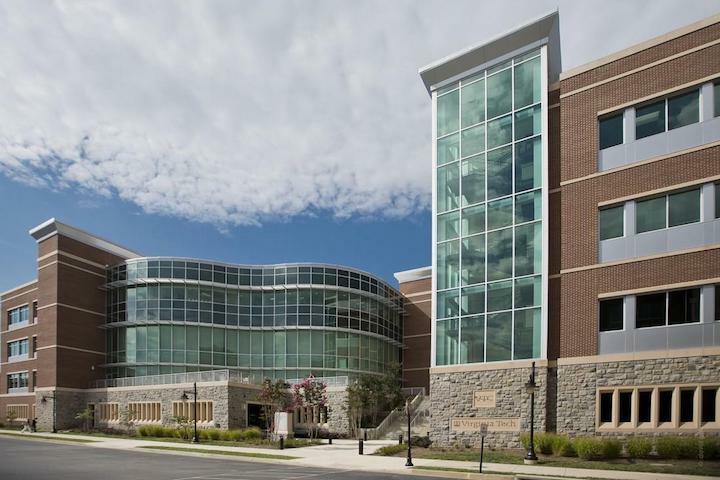 Go here to see a full list of PhD Programs at Virginia Tech. Above: The Carilion School of Medicine in Roanoke, Virginia. Above: Burruss Hall, VPI's main campus landmark. Notice the convenient public bus service. 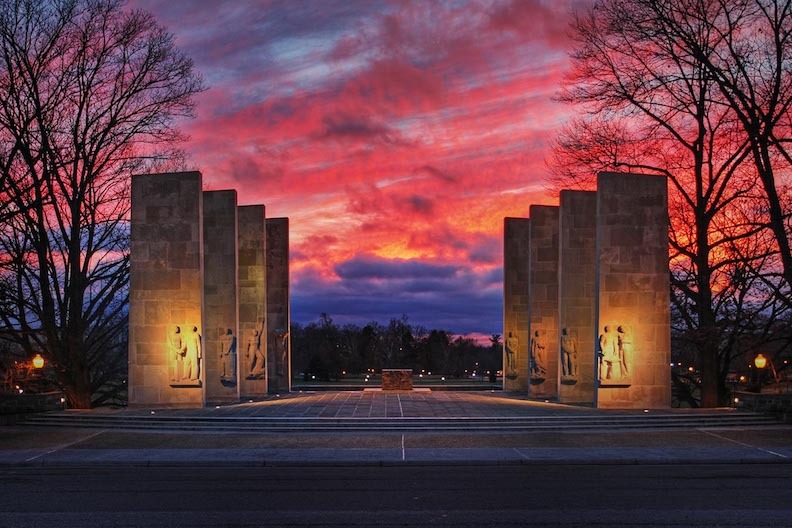 Above: The War Memorial at Virginia Tech. 4. How much does it cost to attend Virginia Tech? $31,908 per year (or $1,212 per hour) for out-of-state enrollments. $1,490 per credit hour for out-of-state enrollments. The above costs do not include room and board, which comes to approximately $9,000 per school year. Freshmen at Virginia Tech are required to live on campus. Additional fees may also apply. These may include application fees, registration fees, activity fees, lab fees, course fees, technology fees, insurance fees, and parking fees, to name a few. Financial aid may be available to students who apply for it by completing and submitting the FAFSA form. Financial aid at VPI may consist of grants, loans, scholarships, work-study programs, or any combination of these. Above: Renovated residence halls in the upper quad of campus. These are normally used as barracks for the cadets. 5. What is the Virginia Tech campus like? 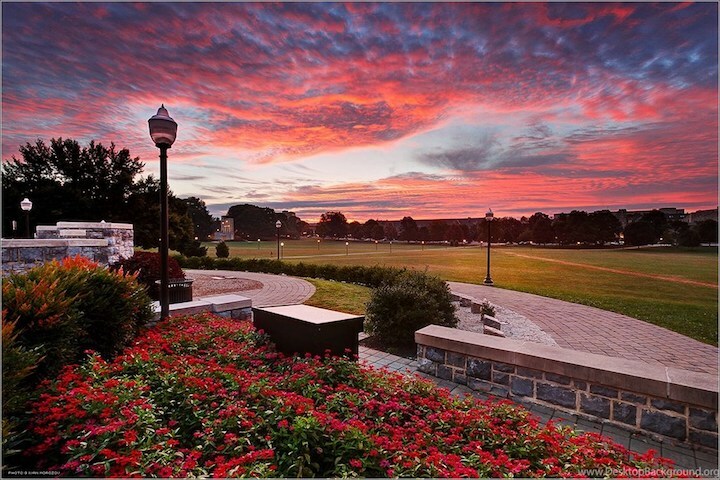 The main campus in Blacksburg spans about 2,600 acres in a "college town" atmosphere. At the center of the campus is a large green oval called the Drill Field. Many of the buildings on campus are constructed using "Hokie" stone, a type of limestone found in western Virginia. 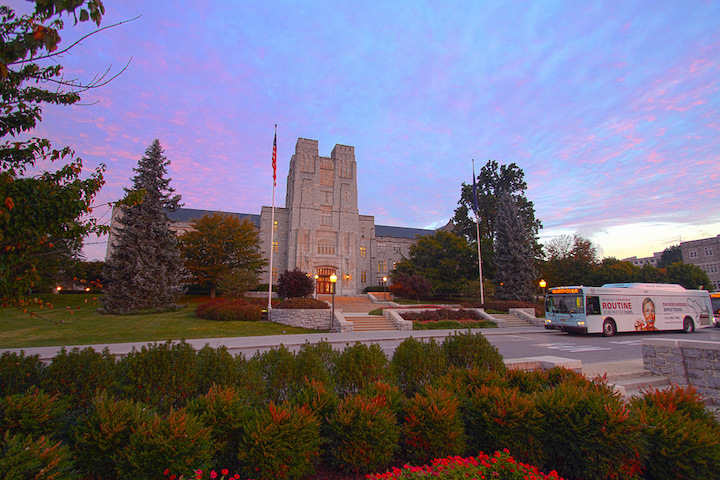 Campus landmarks and attractions include Burruss Hall, the Newman Library, the Perspective Gallery, and the Museum of Geosciences, among others. Student housing is available, both on and off campus. There are nearly 30 on-campus residence halls to choose from. A convenient public bus system shuttles students around campus, and around town. 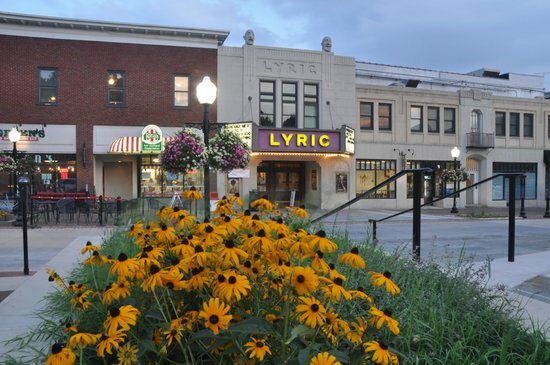 A short distance northeast of campus is Main Street, featuring all the conveniences one might expect a "Main Street" to have. Located just northwest of the campus is the University Mall. The school colors are Chicago maroon and burnt orange. The student varsity athletes at VPI are known as the Hokies. They play for the NCAA Division I - Atlantic Coast Conference (ACC). Intramural sports include most of the ones listed above, as well as cycling, dance, handball, ice hockey, and rowing, among others. In addition to sports, the campus is home to a great many non athletic clubs and organizations. These include academic clubs, arts clubs, drama clubs, language clubs, music groups, science clubs, multi cultural clubs, community service associations, and more. 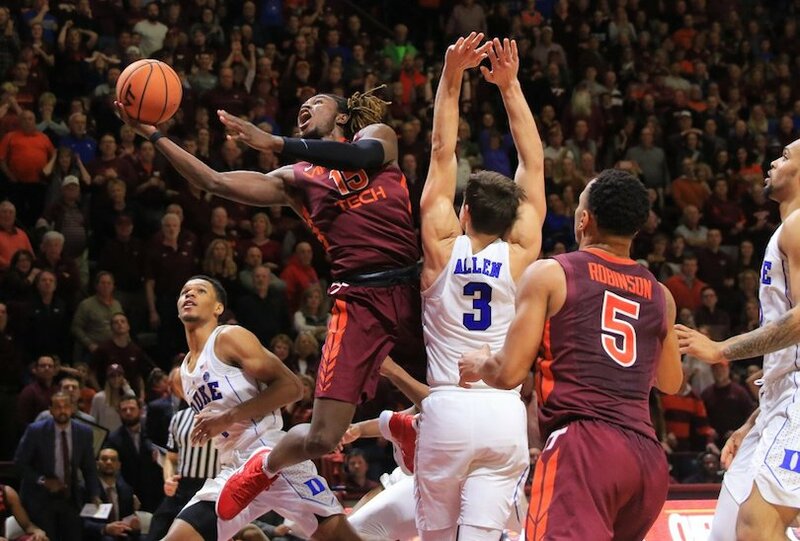 Above: The Hokies in action on the basketball court. 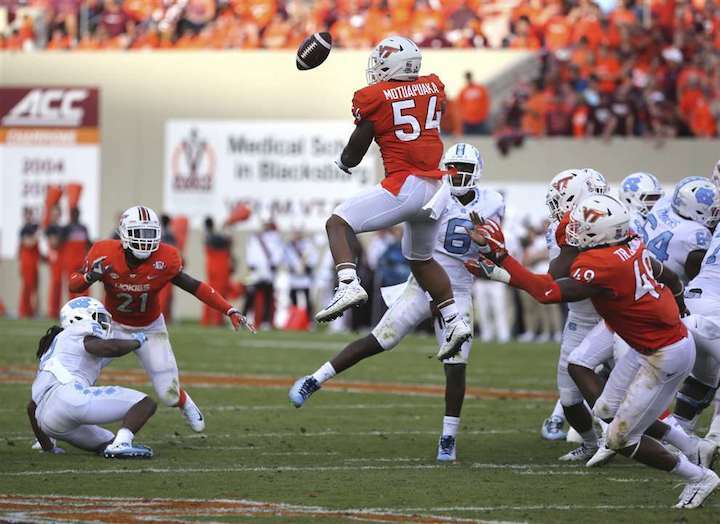 Above: The Hokies in action on the football field. 6. What are the distance learning options at Virginia Tech? VPI offers a number of masters degree and professional certificate programs that can be taken fully online. 7. What is the contact information for Virginia Tech? For general directory assistance on the main campus of VPI, call 540-231-6000. For the office of Undergraduate Admissions at VPI, call 540-231-6267. To contact the graduate school of Virginia Tech, call 540-231-6691. To reach the Weather / Emergency Hotline, call 540-231-6668.